The AlcoholDrugClass.com class was was designed for individuals who need to take an alcohol awareness or drug education class, minor in possession class (MIP/MIC) or DUI* Education class for a court order, probation requirement, DMV*, other legal reasons, or simply for personal growth. 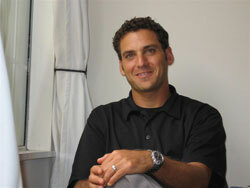 Our program was designed by drug and alcohol experts with the guidance of Dr. Ari Novick, a licensed psychotherapist. These are educational classes only and should not be taken as a substitute for medical or psychological counseling or advice or as a replacement for in/out patient treatment. We offer a wide range of online programs ranging in length, 4, 8, 10, 12, 16, 20, 24, 30, 36, 45, 60, 78 Hours. Click here for detailed information on any of our programs. Our online alcohol and drug, DUI* and MIP classes also range from Level 1 through Level 3 programs. We have been a trusted provider of quality online programs since 2003 and maintain an A+ BBB rating. Ari J. Novick, Ph.D,s a practicing licensed psychotherapist, anger management and parent educator and see clients for a variety of substance and alcohol related issues in Southern California. He can be reached at (949) 715-2694, on the web at www.ajnovickgroup.com or by email: . He is a past adjunct professor of psychology for Pepperdine University’s Graduate School of Education and Psychology. All classes offered on this website are for educational use only and should be not used as a substitute for psychotherapy or medical advice. Our online drug and alcohol awareness and minor in possession classes has been used and accepted in the following states. While our programs are widely used in these states, it is your responsibility to confirm with the judge, probation or other legal entity if our distance learning program will meet your specific requirements. If for any reason you take our class and it is not accepted, simply provide a written proof of decline from the court, probation or attorney within 60 days of purchase and receive a full refund.